Smoke Gets in Your Ears: A Mad Men Podcast episode 40 is available for listening or download right here, and on iTunes here. In the pre-penultimate (?) 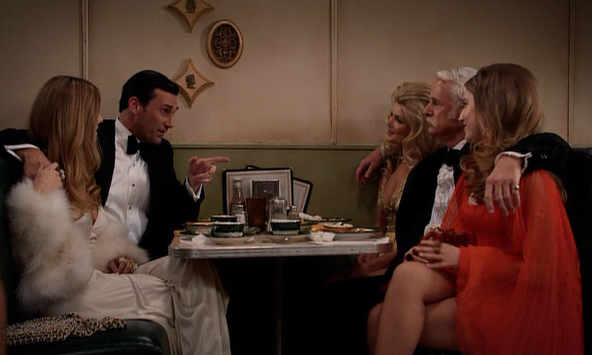 episode of Mad Men, “Lost Horizon,” Don takes a ride, Peggy rollerskates to Roger’s organ accompaniment, and Joan attempts to burn it all down. AJ, Kenn, and Joe discuss the SC&P gang’s anonymity at McCann, whether or not we’ve seen certain of our characters take their curtain calls, and just where the hell Don thinks he’s going. Plus, don’t miss another exciting installment of Hamm Watch! Like “Shut the Door. Have a Seat” and “For Immediate Release” before it, “Time & Life” signals a time of great change in the lives of the Sterling Cooper gang. Can Don and the others pull off yet another gambit to save the agency? Why does this feel so familiar and yet so different? AJ, Kenn, and Joe explore these questions and what they mean at this point in the show’s life. Meanwhile, Peggy and Stan have a heart-to-heart, and Pete deals with a weird old money blood feud. Plus, don’t miss another exciting installment of Hamm Watch! Smoke Gets in Your Ears: A Mad Men Podcast episode 36 is available for listening or download right here, and on iTunes here. 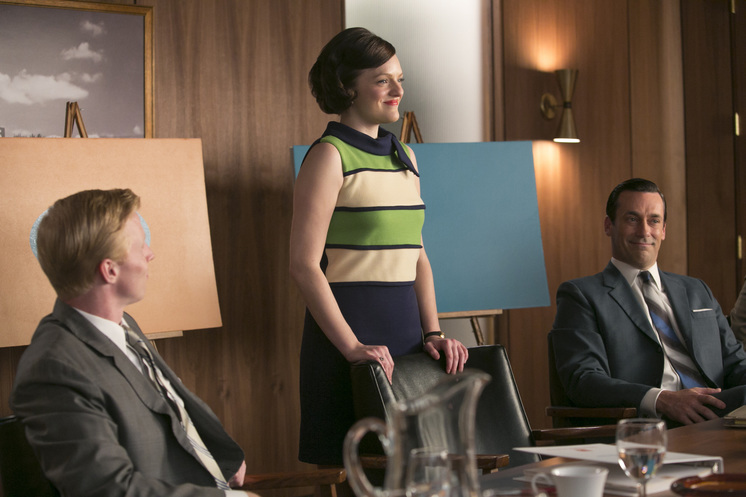 Mad Men is back on the air for its final seven episodes! AJ, Kenn, and Joe are here to guide you into the homestretch, finding yet new facets of Don’s existential quandaries to plumb. On “Severance,” the season 7B/season 8 premiere, Don is visited by a familiar face, Peggy loves veal, and Ken is gonna kill Pete. The gang also discusses viewers’ (and our hosts’) expectations for this final run of episodes, and whether or not Don’s end will live up to them. Plus, don’t miss another exciting installment of Hamm Watch! Smoke Gets in Your Ears: A Mad Men Podcast episode 35 is available for listening or download right here, and on iTunes here. 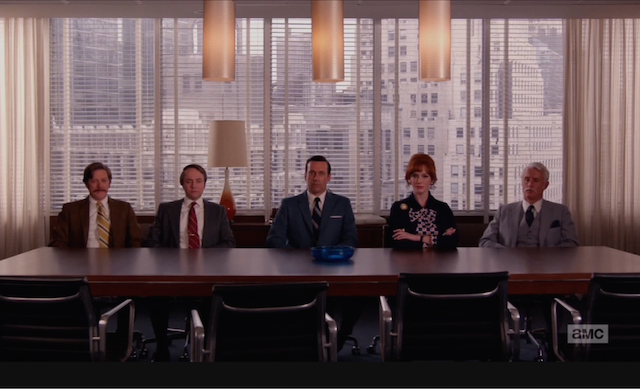 Well, they’ve finally done it, those mad men: AJ, Kenn, and Joe are now all caught up with Mad Men. As they explore the season 7A finale, “Waterloo,” the gang discusses how much it feels like a series finale (except for a few major loose threads), the beautiful way Matthew Weiner & Co. say goodbye to a long-time character, and what that last scene means for the final seven episodes. Plus, don’t miss another exciting installment of Hamm Watch! Smoke Gets in Your Ears: A Mad Men Podcast episode 34 is available for listening or download right here, and on iTunes here. This week on Smoke Gets in Your Ears, AJ, Kenn, and Joe do it their way while discussing the penultimate episode of Mad Men season 7A, “The Strategy.” As the gang at Sterling Cooper & Partners dances their way to the end of the ’60s, Don and Peggy finally have it out; Pete and Trudy’s relationship (or lack thereof) comes to a head; and Bob gets closer than ever to Joan. 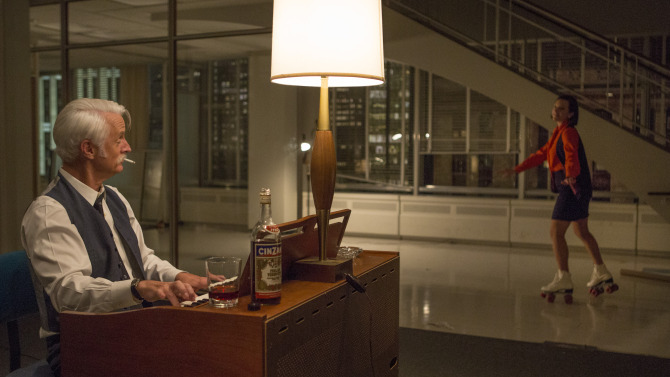 So many subplots have a button put on them that this may as well have been a season finale…but no, there’s still one more episode before Mad Men returns to the air. Plus, don’t miss another exciting installment of Hamm Watch! Smoke Gets in Your Ears: A Mad Men Podcast episode 33 is available for listening or download right here, and on iTunes here. 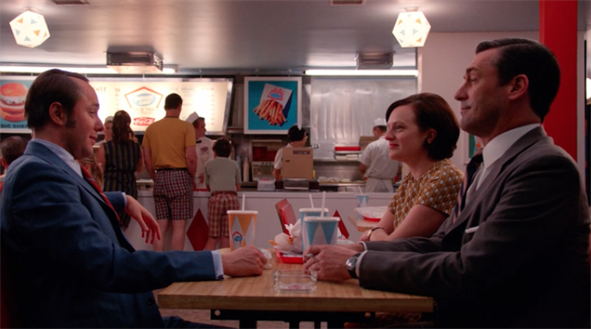 Now that they’re in the home stretch, with Mad Men season 7B premiering on April 5, AJ, Kenn, and Joe have moved to discussing just one episode per podcast. This week, that episode is “The Runaways,” in which everyone is trying (to various degrees of success) to run from authority. 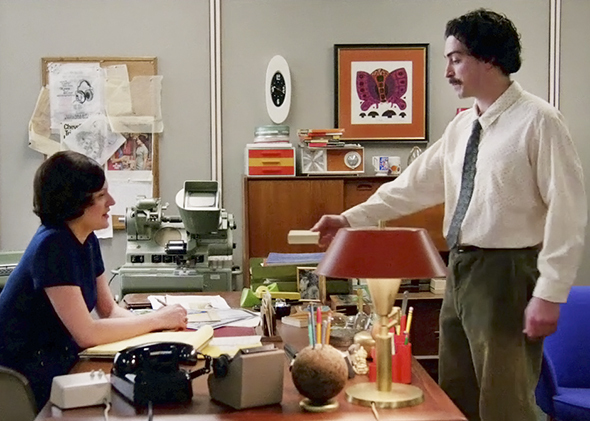 There’s Don trying to rout his partners, Betty attempting to assert independence from Henry, and…Ginsberg v. computer? 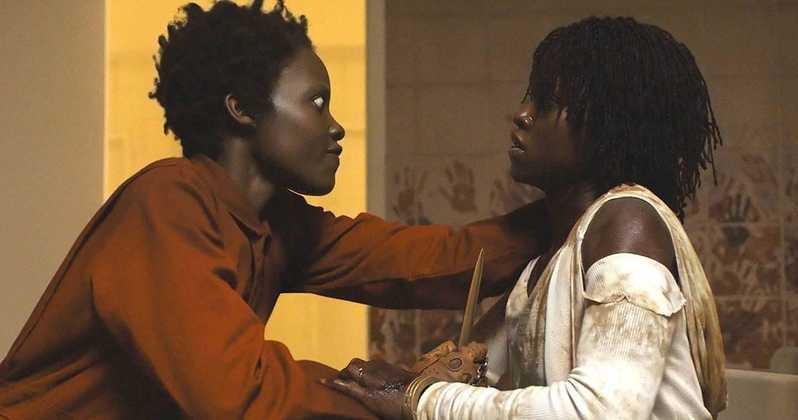 This episode goes to some dark, strange places, and your hosts are on hand to make sense of it all. Plus, don’t miss another exciting installment of Hamm Watch!